At Bernell Hydraulics, after nearly 4 decades in the business, we have the knowledge and experience needed to take excellent care of any sort of hydraulic equipment in San Pedro CA that you might have. This includes industrial, mobile, and agricultural systems. Read on to learn more about our parts sales, repair, and maintenance services. When you rely on your hydraulic equipment for your livelihood, a parts failure can cost you serious time and money. 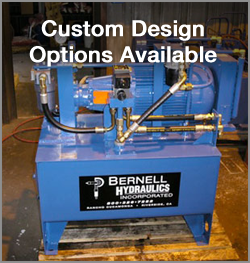 Fortunately, Bernell Hydraulics offers expert emergency repairs. We’ll come to your aid 24/7 to help get your equipment back up and running as soon as possible. You can count on us to provide a reliable, long-lasting repair because we use quality parts and we test our work before signing off on any job. Bernell Hydraulics is proud to offer an extensive selection of parts for hydraulic equipment in San Pedro CA, along with the expertise to help you choose the right parts. As an authorized ParkerStore, our Parker offerings are especially strong. However, we also carry a wide variety of parts from other trusted brands such as Lion and Monarch. We offer three easy ways to get your parts: in store pickup, onsite delivery, or shipping anywhere in the country. You can even shop online right now. We offer service and maintenance for virtually every part of your hydraulic equipment in San Pedro CA. You can come to our shop for parts replacements, fluid drains and changes, power flushes, welding, and system evaluations. We can also provide all of these preventative maintenance and repair services at your work site through our mobile field service.